42 O’Connell Street | Come Here To Me! No.42 O’Connell Street has long fascinated me, sitting next to a sports bar and easy to miss, yet so different from everything else on the street. The building is the oldest surviving residential building on the street according to TJ O’Connor and Associates, a consulting engineer firm. The building comprises of 4 storeys over basement and is constructed in cellular form typical of the Georgian period. While the original construction was of high quality, the building has been subjected to numerous alterations during its lifetime, particularly those associated with the adjoining hotel on the 40-41 O’Connell Street site. Under ‘Client’, the website lists Chartered Land Development, who are embroiled in the controversy around the future of Moore Street and the equally important historic laneways which surround it, connected to the story of the 1916 rebellion. The house dates from 1752. It was designed by Richard Castle, the architect of the Rotunda, and although the front facade is very plain, the interior contains many fine features, including ornate plaster work ceilings and an exceptionally good carved wooden staircase. 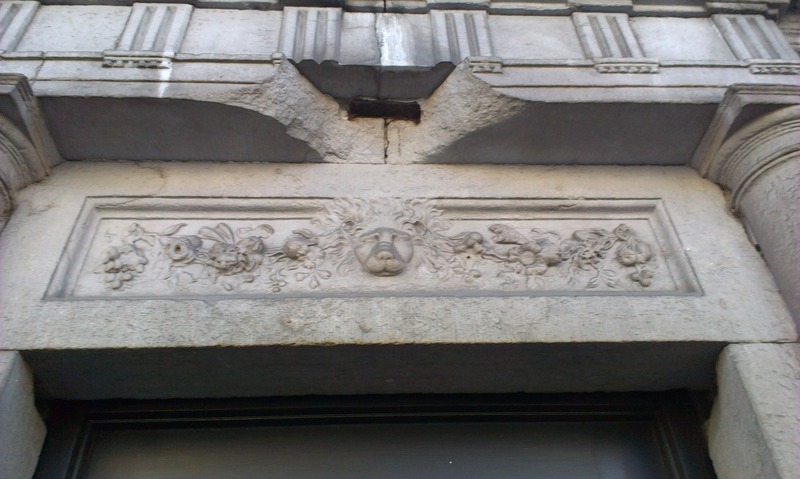 Pat Liddy has detailed the manner in which the building was purchased in 1882 by the Catholic Commercial Club, essentially a club for Catholic businessmen who “had been excluded from the existing social clubs in the city.” A library, a reading room, a restaurant, lecture rooms and other facilities were to be found inside of this club. It is incredible to read now that once upon the time the very idea of knocking down one of the few buildings on the street to survive the revolutionary period intact was even considered. This is a great building which deserves your attention next time you’re passing. very interesting building indeed.A plan from the inside of the building could be also interesting. The lack of regard by the country’s politicians from the beginning of independence into the 1980s of our architectural heritage in Dublin city reflects their desire to whitewash history as if to eradicate the stain of colonialism and poverty. The decline of O’Connell St in particular exemplifies this. A far cry from Luke Gardiner’s vision. @Estelle du Bois – There was an element of this. It is worth noting, however, that this was far from merely an Irish thing. The Modern Movement was gathering steam across the western world. There was a desire for a break with the past and for the chance to remake the world according to partially misguided notions of ‘progress’. Le Corb proposed (possibly slightly tongue in cheek) to raze Paris to the ground and replace it with skyscrapers and wide roads. There is a difference between proposing something and actually doing it. It has some fine plasterwork inside the first floor reception rooms which presumably is still intact, although the house has been left in a deplorable state ever since the hotel beside it was demolished. 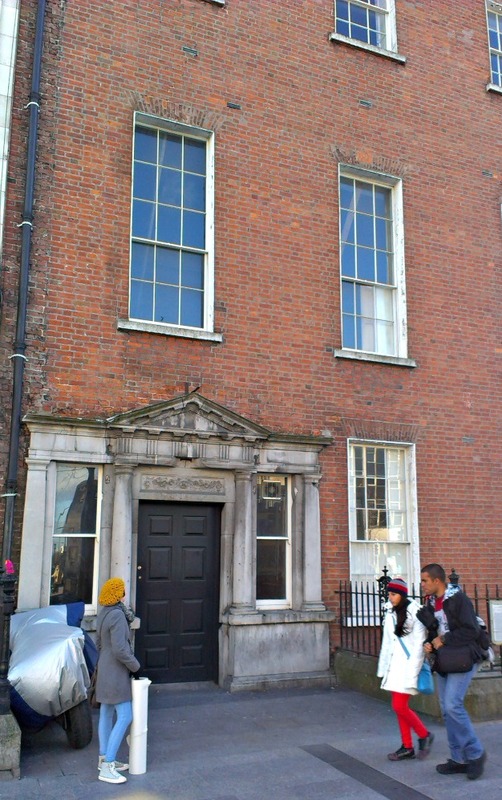 A little more information: No.42 is the last surviving 18th century house on O’Connell Street, and therefore of enormous importance (altho’ you’d never know that from the indifference displayed to its welfare by Dublin City Council). Its original owner was Robert Robinson, State Physician and Professor of Anatomy at Trinity College but within a decade it was occupied by Sir Archibald Acheson, who was a member of parliament and who was probably responsible for commissioning the first floor rococo plasterwork. It remained a private residence until purchased by the Catholic Commercial Club. Interesting piece and good news that the building is being/is restored. Is the building now visible? On google maps it’s cordoned off and scaffolded. Great article on one of my favourite old survivors in Dublin. There are some good photos of its interior in the IAA taken around the time of its proposed destruction-squint through the hall windows and you can get a flavor of its character. 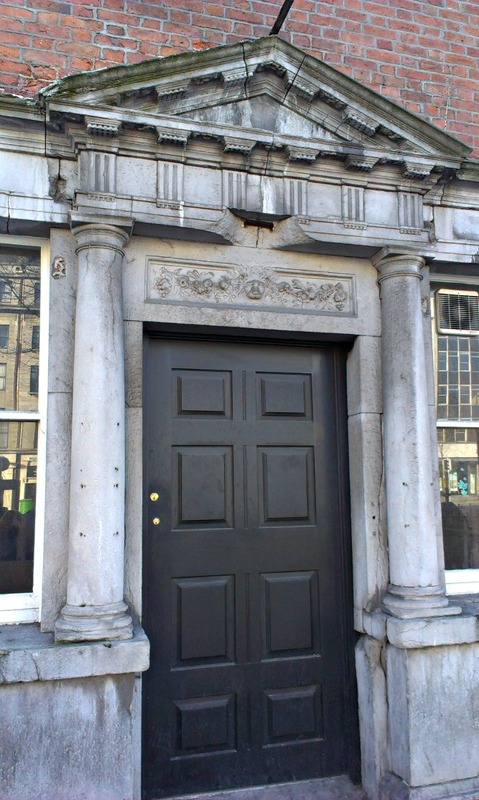 I’d like to find out a bit more about its more recent history sometime-I think it became part of the Old Dublin hotel. Does anyone know the story about the Apollo sign in the basement? really interested in this building. The kertland family ( Joseph Kertland, William Kertland and George Bill Kertland) lived here in the period around 1850 and ran a perfumers and chemist business. my wife is descended from that line.